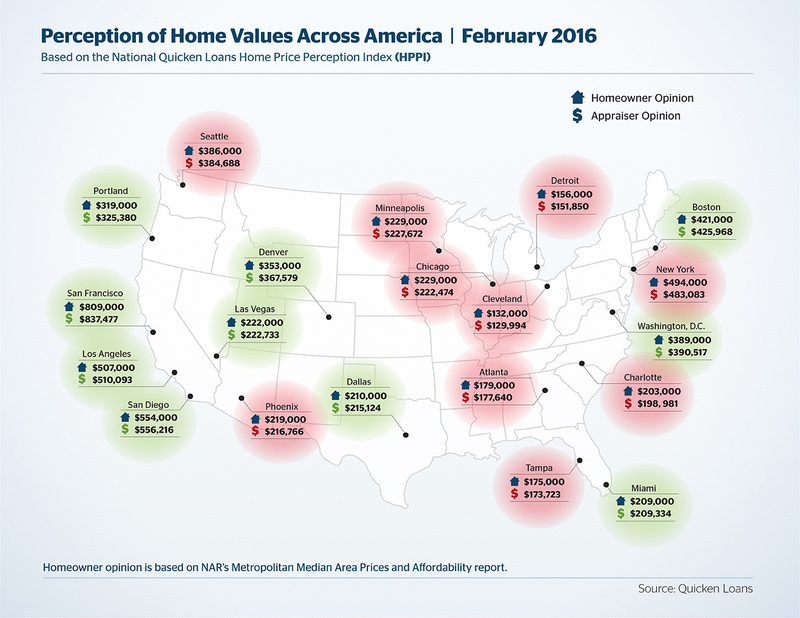 In January 2015, the appraiser value was 0.38 percent lower than the homeowner perception of their home’s value. 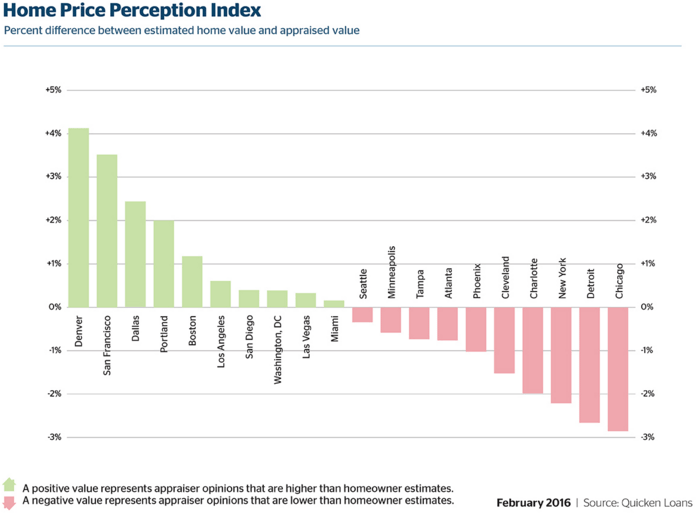 The gap between homeowner perceptions and appraisals has grown larger– and it’s not good news. 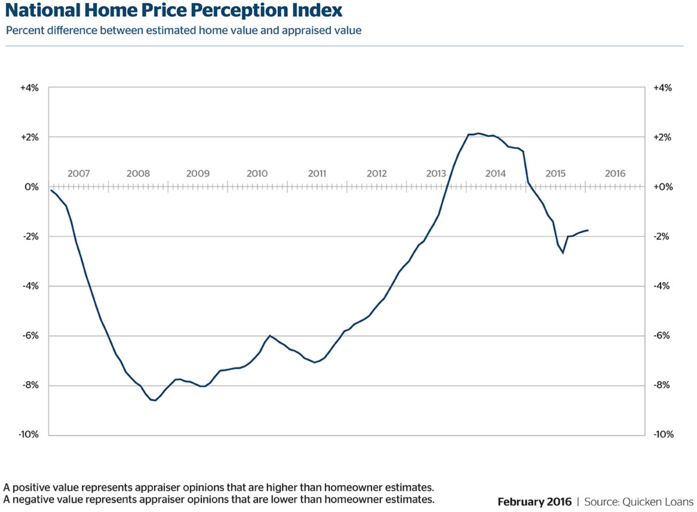 In December 2015 appraiser value was 2.85 percent lower than homeowner perception, and it remained at the same level into January 2016.